“Ignorance” is having a fore or hind knowledge about the Truth and ignoring to do anything about it. The fore or hind knowledge can be via being evangelized to, given a word-filled track or having a Bible and ignoring to open and learn of its wisdom-filled words. “Unawareness” on the other hand is being totally devoid of the Truth. Having no fore or hind knowledge about a matter, and it is because of the total avoidance of this (unawareness) that the Truth has to get to the ends of the earth before Jesus comes to take His own. Brethren, “I didn’t know” won’t be an excuse on THAT DAY, it will either be ‘you KNEW’ or ‘you IGNORED’. 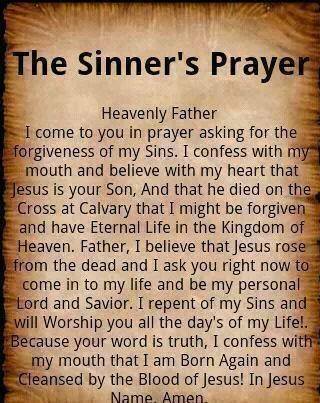 There’s still time now for repentance. Remember; NO ESCAPING THE STRIPES – Punishments. Previous Post THE NARROW PATH – 4 things every believer should know. joyshimmers on ​STORY OF MY LIFE. working4christtwo on FAITH AND WORKS. The love Doctor that cares!!!! A writing journal, spiritual notes and general observations on life.